I’ve been living with Magico’s three-way, five-driver M3 floorstanding loudspeaker for better than a year. In that period other superb dynamic transducers have come and gone. Only the M3 has remained. There’s a reason for this: The M3 is the most lifelike (and least “cones-in-a-box-like”) cone speaker I’ve had in my home, and while I recently heard a Magico that betters it (and every other dynamic speaker I’ve come across)—the brand-new M6—that paragon costs a hundred thousand dollars more than the M3, is much larger and heavier than the M3 (making it potentially less of the near-perfect match that the smaller, more compact Magico is for my medium-sized room), and doesn’t better the M3 in all (or even most) ways. Indeed, these two M Series speakers are sonically so much alike that I’m going to begin this review (as I began my recent online blog about the M6) by repeating some of what I wrote about their forebear—Magico’s limited-edition, tenth-anniversary M Project loudspeaker—as neither the M3 nor the M6 would exist without it. After this, I will talk about how the M3 differs from its predecessor and how those differences affect its sonic presentation. So…let’s talk a little Magico history. As you probably know, I’ve been following the progress of this skyrocket of a company from the moment I first heard the original Mini in 2006. 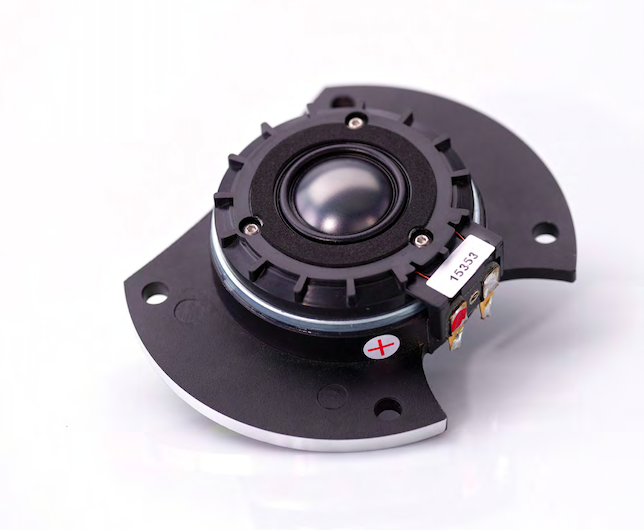 Since then, Magico has gone from titanium-sandwich drivers, ring-radiator tweeters, and stacked-birch enclosures to nanotech carbon-fiber drivers, beryllium dome tweeters, and massive aluminum enclosures to what has become the current M Series platform of graphene carbon drivers, diamond-coated beryllium dome tweeters, and carbon-fiber-and-aluminum enclosures. What has stayed the same, however, is Wolf and Co.’s ongoing pursuit of perfection. Of course, the first of many thorny issues with such a quest—which is certainly what Magico is on—is what is meant by “perfection.” For Magico the answer to this question is, and has always been, the lowering of distortions of every measurable kind. Every advance that the company has made has been accompanied by an audible reduction in noise (from drivers, crossovers, and cabinets) and a concomitant increase in resolution and transparency. For Magico, the perfect speaker would be no speaker (or no sense of one)—a pure, uncolored conduit from source to listening room. This said, not everyone has loved Magico’s ultra-transparent, ultra-neutral, ultra-low-distortion sound (or has bought into its pursuit of measurements-based perfection). Let’s face it: One man’s neutral, low in distortion, and transparent is another’s cool, lean, and analytical. And cool, lean, and analytical is precisely the way some listeners have heard Magico Qs. To be fair to their critics, Magicos in general are not warm, cuddly, forgiving speakers, like some Raidhos or Wilsons. They appeal to listeners who value transparency to sources—or what others call “accuracy”—above all else. 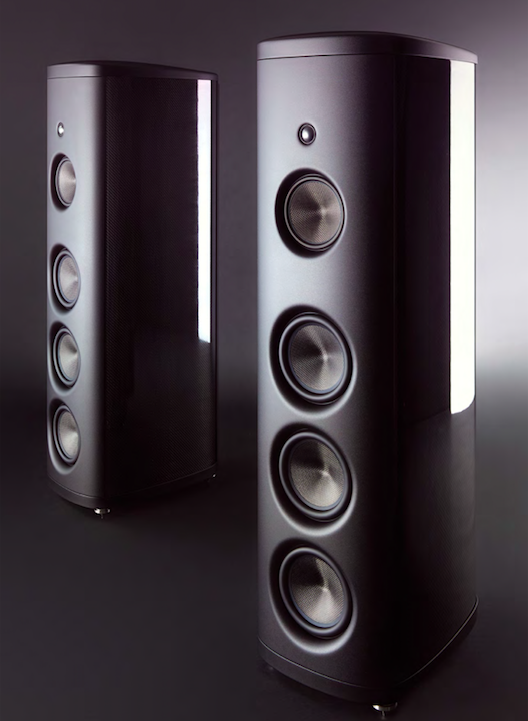 If a source is well recorded, Magico Q Series loudspeakers come as close to the real thing as any speakers on the market, now or in the past. If it is not, well, they tell you so—not in an overly insistent way, but nonetheless in a straightforward one. I happen to like this kind of “just the facts, ma’am” honesty, but I’m in the minority. Most listeners, I think, prefer drama to documentary. They want a transducer that thrills them the way music—live or canned—thrills them, and could care less about how much coloration it takes to consistently deliver those goosebumps or how close the result comes to the sound of acoustic instruments in a real space. I call this (majority) group “as you like it” listeners, but it’s just as fair, and less faintly pejorative, to call them “musicality-first” ones. In between the accuracy and musicality listeners is “the absolute sound” contingent, whose search for those recordings and components that best preserve the sound of acoustic instruments in a real space was the ideal upon which TAS was founded. To an extent, both of the other streams feed into this central pool, albeit on a kind of a contingency basis. Accuracy-first listeners are searching for the recordings and equipment that deliver the most convincing semblance of the real thing, too, provided that they don’t also turn sow’s ears into silk purses by grossly coloring the sound. Though they may not have an overriding interest in acoustic instruments played in real venues (i.e., in classical or acoustic pop and jazz), musicality-first listeners are also delighted when something sounds “real,” because when something sounds “real” (while at the same time sounding beautiful and exciting) it just adds to the thrill quotient. It has been my contention that no listener is purely one of these three types: that a delight in accuracy, musicality, and realism are common to all listeners, although one of these three “biases” tends to predominate (or at least it does most of the time). The trouble is that it is next to impossible to find a single transducer that will please all three palates in equal measure. So where does a lover of Béla Bartók, Ray Brown, and The Beatles go to get the essential piece/performance/venue/recording detail, the lifelike tone color, weight, and transient response, the thrilling dynamic range, particularly in the bass, and the sheer SPLs that each of these composers and musicians requires in significantly different proportions?